If there's one thing in life I'm a bit obsessed with, it's candles. They make your room smell and look nice, and you can get so many different ones. 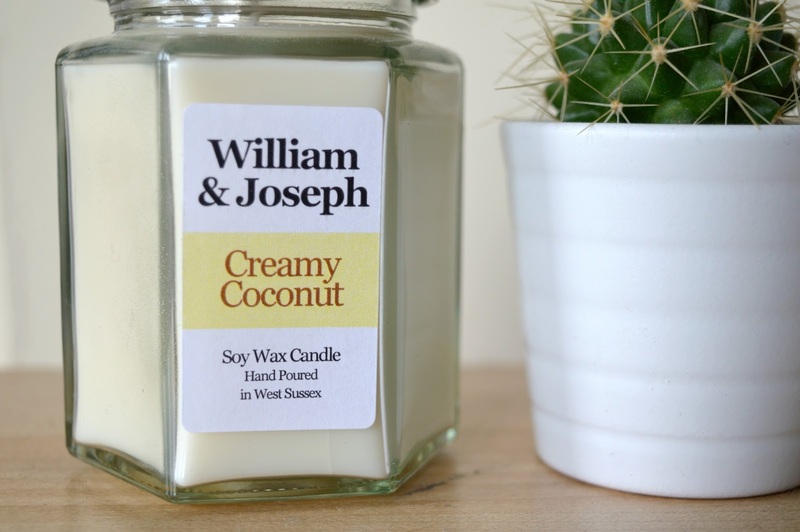 My latest obsession is William & Joseph candles - a range of eco-friendly soy wax candles that are all handmade in West Sussex. William & Joseph offer a number of different scented candles and wax tarts, from fresh summery scents (for example Prosecco & Orange) to richer, more mouth watering smells (for example Chocolate Fudge Brownie). I recently got sent two new lovely scents to try out - Creamy Coconut and Fresh Rain - and have fallen in love! Described as the 'smooth, warm, creamy scent of coconut', Creamy Coconut is my absolute favourite. To me it smells like summer and holidays and warmth - all lovely, sentimental scents that are getting me excited for the upcoming warmer months! 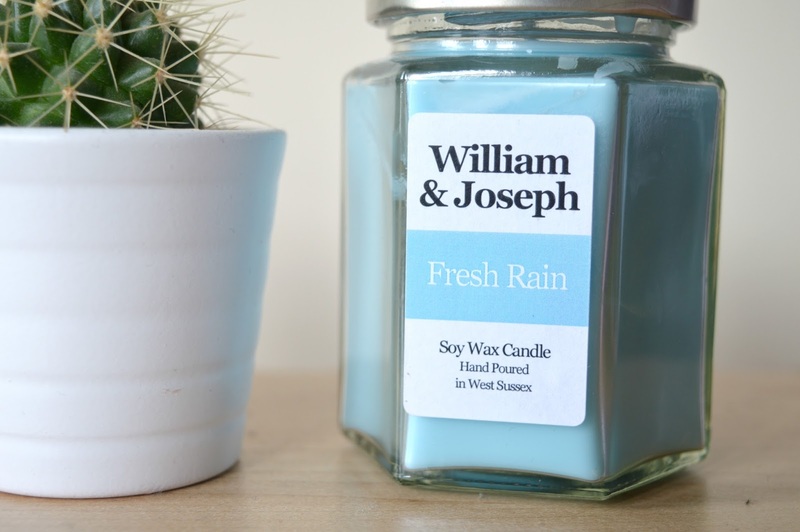 Fresh Rain is also a gorgeous scent; it smells surprisingly like it's name - a fresh, crisp smell that will remind you of summery showers and getting caught in warm bursts of summer rain. William & Joseph have so many different scents to choose from (you will be stuck for choice) that all range from £8-£11. 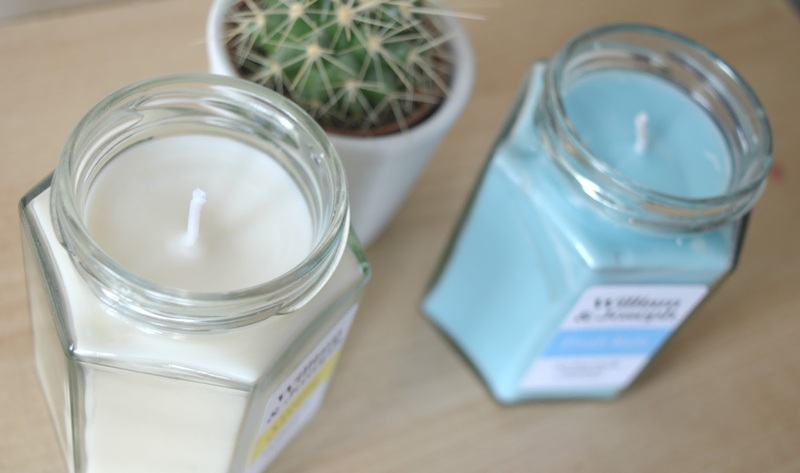 They all come in adorable glass jars that look super cute and chic -so what are you waiting for?! You can browse all candles and wax tarts via their Etsy Shop or visit their website. 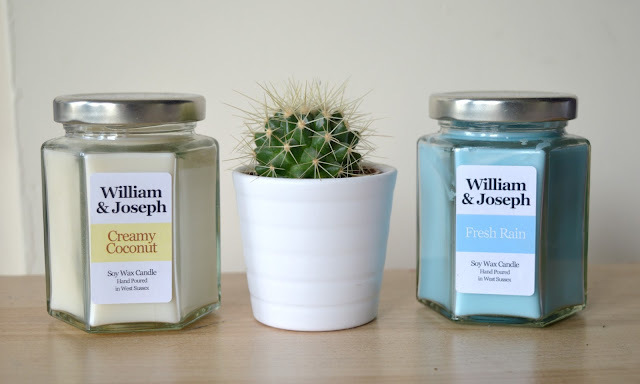 Have you tried William & Joseph candles?